Here's some food for thought. Can you imagine a world where there are more plastic than fish in the ocean? According to a study by the Ellen MacArthur Foundation, this could be a reality in our lifetime. 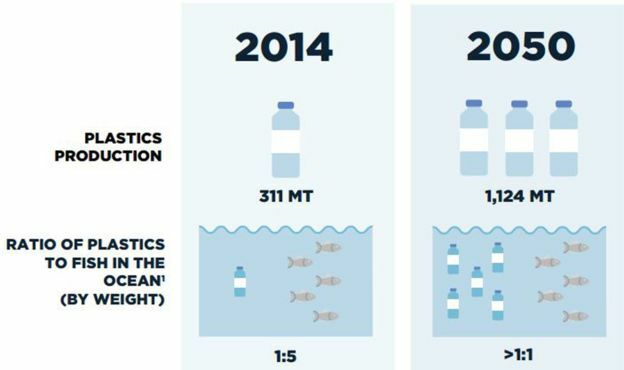 Current plastic production has increased by a factor of 20 in the last 50 years. In fact, every year the plastic waste created is equivalent to dumping the contents of one garbage truck into the ocean every single minute. Also, did you know that only 5% of current plastic wastes such as water bottles are properly recycled? While there is a huge opportunity of improvement in awareness and process of recycling, we believe the best way of reducing plastic water bottle is through alternative methods. Many marine boat owners have expressed their concerns over the inconvenience of carrying plastic water bottles. As such, we strive to play our part in building a sustainable future for generations to come. We believe that the convenience of safe drinking water and the reduction of plastic waste can be intertwined with advancements in the proven technology of UV-LED. We empower our global customer base with the ability to produce safe water through designing, manufacturing and integrating advanced UV-LED water purification solutions. Copyright © 2019 Acuva Technologies Inc.